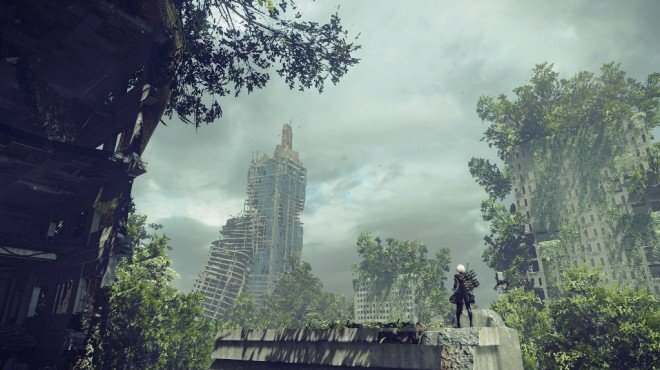 Resistance: Rose is one of the information archives in Nier: Automata. This android, encountered by the experimental YoRHa squadron, is the leader of a group composed of many Resistance members. A survivor of the eighth descent operation, she continued to wage guerrilla warfare in the Pacific region thereafter. Unable to stop the ever-proliferating machines, she continued to fight a war of bitter attrition for over 200 years. After encountering the experimental YoRHa squadron, she sought to change the tide of battle through fighting alongside them. She was destroyed by machine lifeforms in the server room undermeath Mt. Ka' ala during the mission to destroy said server.